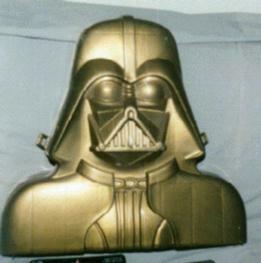 Similar to the metalized gold Vader case, this is probably a mold test for the C-3P0 case. Kenner probably tried the 3P0 case as a dull gold color before going to the metalized look. Since they had a mold available for the Vader case, this seemed like a natural choice for testing difference types of plastic. The plastic used for this case is translucent.